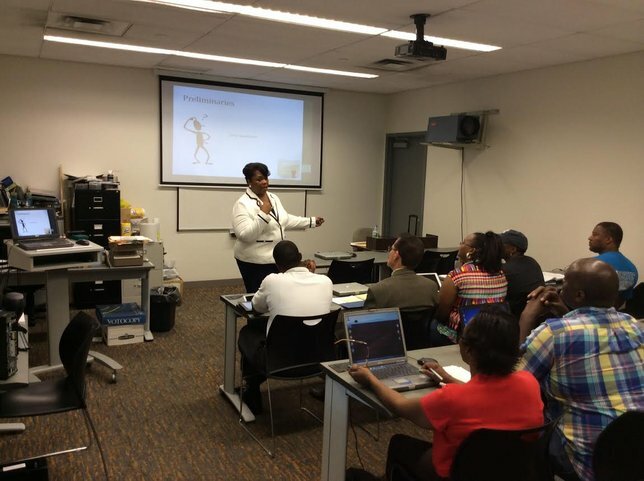 Baldwin, NY - July 29th, 2014 - On July 26, 2014 the Long Island African American Chamber of Commerce, Inc. launched its first in a series of Minority Business Certification Workshops at the Baldwin Public Library. The Long Island African American Chamber of Commerce, Inc. has embarked on a campaign to increase the number of members certified as minority business owners in alignment with Gov. Andrew M. Cuomo’s recent commitment to provide 20% of contracts to minority owned firms in New York State. It is the chamber’s goal to increase the number of Certified Minority Business Owners in its member network throughout the counties it serves. The chamber will be conducting a series of ongoing workshops geared towards increasing the number of certified business owners in its members network and will be working to attract additional members to the chamber of commerce that have a desire to be certified as minority business owners. Currently there are 7,296 certified MWBE firms in New York State, of which 893 are on Long Island. Alphonso Davis, the Governor’s deputy secretary for civil rights that Governor Coumo is seeking to add 2,000 more MWBE firms statewide. The current series on workshops consist of a collaboration between the Long Island African American Chamber of Commerce, Inc., Nassau County Department of Minority Affairs, and the Roosevelt Community Revitalization Group. Sharon Davis, President and CEO of Freeport-based firm SJ Edwards, Inc. which provides employee benefits services stated in Newsday “The certification process is really cumbersome, but you have to in it to win it.” Sharon Davis received MWBE certification in 2013. To be placed on email list for upcoming Minority Business Certification Business Workshops (MWBEs) or inquire about membership and corporate partnership opportunities, please email the Long Island African American Chamber of Commerce, Inc.
Subject: LongIsland.com - Your Name sent you Article details of "Long Island African American Chamber of Commerce, Inc. Launches 1st in Series of Minority Business Certification Workshops"